Light-Up Laser Cut Tardis #SciFiSunday « Adafruit Industries – Makers, hackers, artists, designers and engineers! 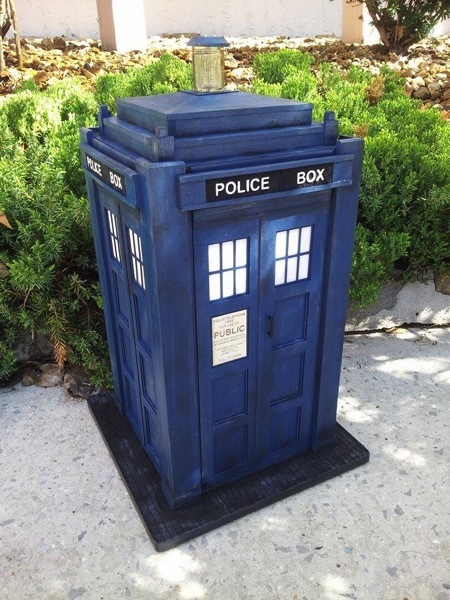 Terrific Tardis project tutorial from instructables user ChristienF. This is a light up Tardis standing 2’+. I used scale lumber and craft plywood on a 90W 24×36 Laser Cutter. I grabbed some drafting from the web (provided) and modified to what I had on hand in cad.